I’m a big fan of Mindy Dykman, aka Ravenknits and love her intricate patterns, often inspired by nature or the works of JRR Tolkein. Her latest release is being published today (Pi day for those in the know) and is called Be as Water, which is part of a collection of patterns called Elements of Memory. 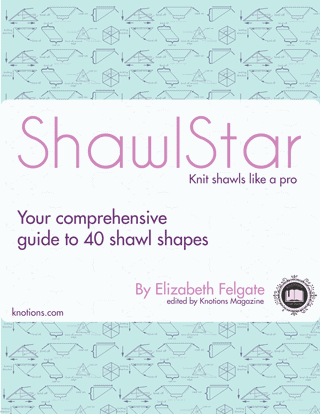 The ebook of six patterns does represent a HUGE saving, but if you prefer there is a discount code for 20% off the individual pattern. Save 20% off the price of Be As Water using the code BeAsWater in your Ravelry shopping cart. Offer good until 11:59pm EST Tuesday March 19th. I love the beading and lace details and knitted with fine yarn, it’ll be as light as a feather. “Growing up in the Fraser Delta of British Columbia, with parents who attended UBC, I remember spending many days in the Nitobe Memorial Gardens. These gardens on the UBC campus are considered to be amongst the most authentic Japanese gardens outside of Japan itself. The deliberate plantings and symbolic statuary of the gardens are a huge part of the artistic sensibilities I have carried with me since childhood, and I wanted in some way to honour that debt of influence. It is for this reason that, when I started contemplating the shape with which to represent the traditional elements as a shawl series, I turned to the structure of the gorinto. Built in towers of five defining shapes, the gorinto represents elements of stability and of change, of permanence and impermanence, of the known and of the unknowable. 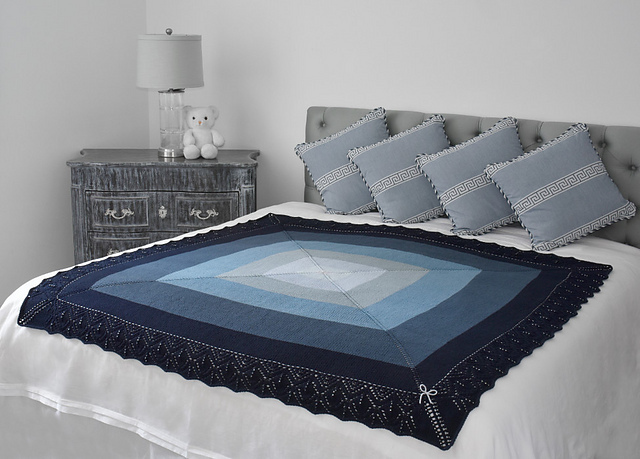 Would you like to get this gorgeous blanket pattern from Mary Ann Byrd for free for Valentine’s Day? Isn’t it fabulous? So, what do you do? Visit this page and follow the instructions to get your unique code to claim your free pattern. I don’t know about you, but I hate cold ankles, especially where my bootcut or skinny jeans don’t reach the top of my shoes and there’s a gap. 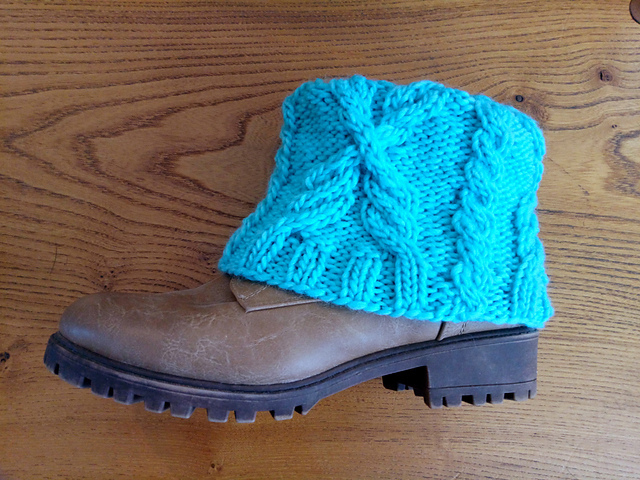 The Wheatsheaf Boot Cuffs are a very quick knit, great for gifts (Christmas is coming!) and will help you use up some stash. 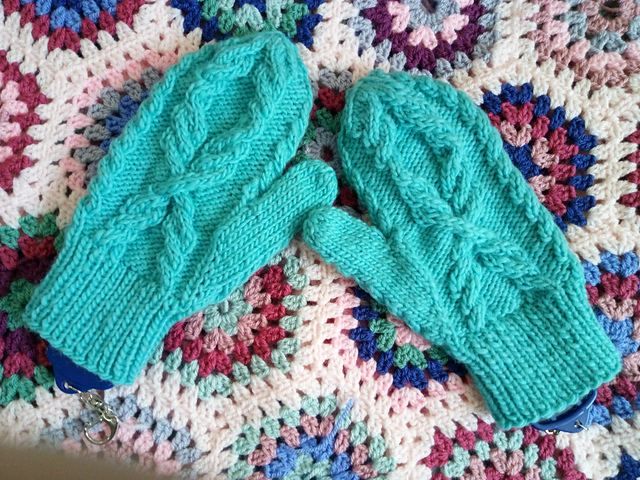 I used just over 200 yds of the Lamb’s Pride Worsted for the Turquoise pair using 5.5mm needles for the cables and 3.75mm needles for the ribbed cuff. The purple pair are made using Knit Picks WOTA Superwash and I dropped to 5mm needles for the cable section. Super speedy and they fit over my welly boots, my ankle boots and even my wide fit knee high leather boots. We recently released our Wheatsheaf Mitten Pattern, for sale on Ravelry. I used some wonderful Brown Sheep Lamb’s Pride Worsted which was a gift from the lovely Joan Dyer. The mittens use different needle sizes to achieve four sizes from Ladies Small/Child up to a Mens size. 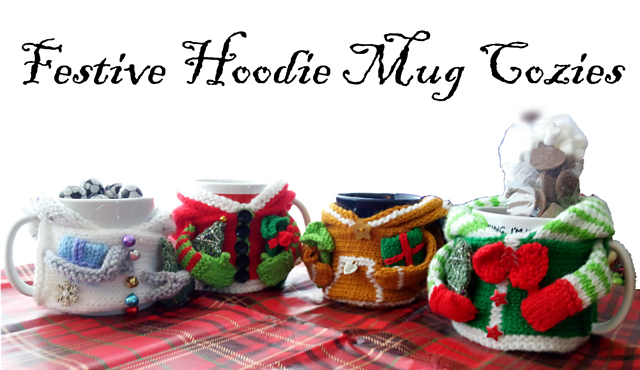 They’re a quick knit, a few evenings by the fire and are toasty warm. Great for gifting and a chance to use up a bit of stash, you’ll need between 160-300 yards (depending on size and if you make the longer, folded cuff.